Bullock would like to introduce you to our newest family member. Brock is Sharon (Gigi) & Marks eldest daughter, Stephanie & her partner Roberts first child. He was born 3 March weighing in at 8lb and 54cms long. Stephanie & Brock are doing well. We wish them all the very best in life’s journey. Bullock Group of Companies would like to take this opportunity to express our personal appreciation for your achievement of this milestone. Loyal and dedicated employees like you are the foundation to any successful company. Thank you for your contribution to the success of the company. Bullock Industries has moved!! Yes after many years of trading they have officially moved. 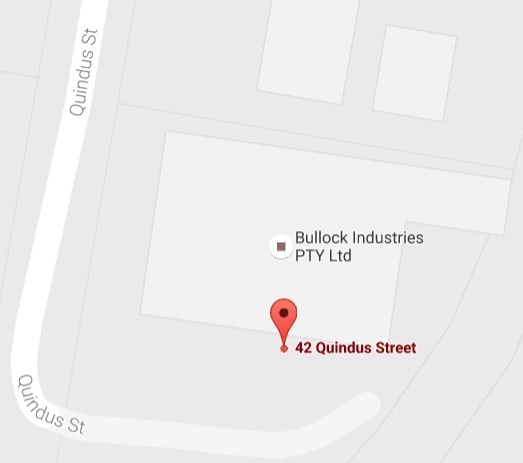 They are now located at 42 Quindus Street Wacol. The phone, facsimile and email addresses are still the same. Drop in and say G’day to the team.